We are the only 100% plant-based restaurant in North America's only Blue Zone. 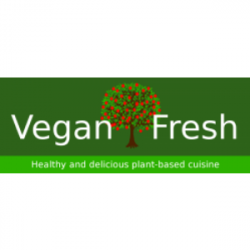 Since June 2016, our goal has always been to provide healthy, delicious and filling 100% plant based food, as well as promote a healthy lifestyle in our local community and beyond. We do not subscribe to the philosophy that meat, eggs or dairy are the standard by which plant-based foods should be measured. Therefore, we do not use fake meat or cheeses in our recipes. We also prepare our food with fresh ingredients for the best taste and nourishment. At our fast casual restaurant, you will find "veganized" traditional recipes (eg, vegan enchiladas) as well as completely original specialty items, including unique international fusions. We also have a juice and smoothie bar. We are passionate about whole plant-based nutrition and promoting practical principles of a healthy lifestyle that are good for you, good for the community, good for our animal friends, and good for the planet!